We are pleased to inform that Transfer Multisort Elektronik has become a distributor of mikroElectronika company that has been present in the market for over 10 years. The head office of mikroElektronika company, which is a recognized manufacturer of development kits and top level language compliers is located in Belgrad, Serbia. The company cooperates with Microchip, Atmel, Texas Instruments, STmicroelctronics, Cypress, NXP, TELIT and FTDI. 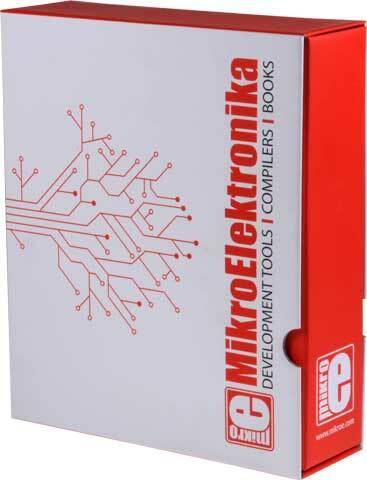 mikroElektronika products are designed both for hobbyists as well as designers who professionally design embedded systems. The company offer includes, among others, C language compilers (microC), Basic (microBasi) and Pascal (microPascal) designed for popular microcontroller families (Microchip, AVR, ARM, 8051). mikroElektronika start up sets are very popular among customers; the EasyPIC Fusion v7 set (MIKROE-1205) has been nominated as one of the three products to an award in the “Best Tool” category during this year’s Embedded World trade fair in Nuremberg, Germany. We invite you to see mikroElektronika offer in TME.